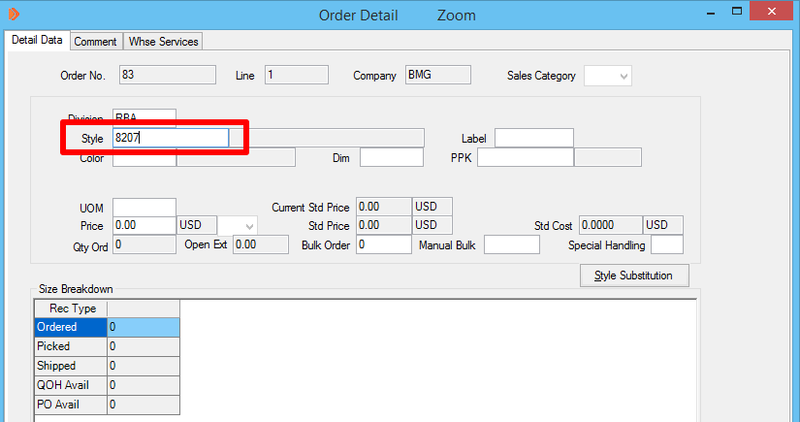 Scroll down the page to see each step for entering a sales order into Simparel. 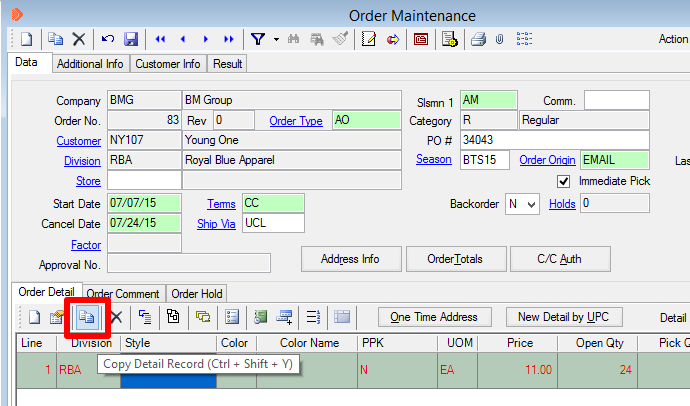 AO (At Once) – Order is for items that are readily in stock. 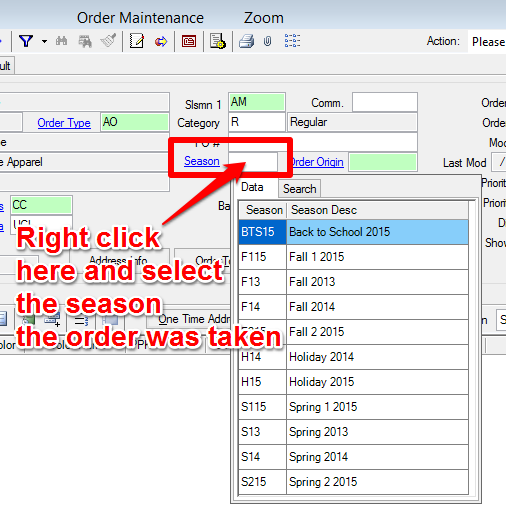 BACK (Backorder) – Order is for items that are out of stock but may be replenished later. 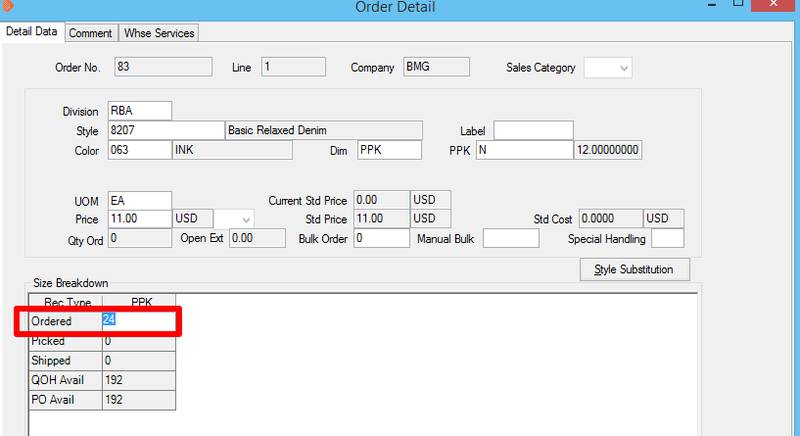 CUST (Customized Order) – Order is for items that are custom cut for this customer. 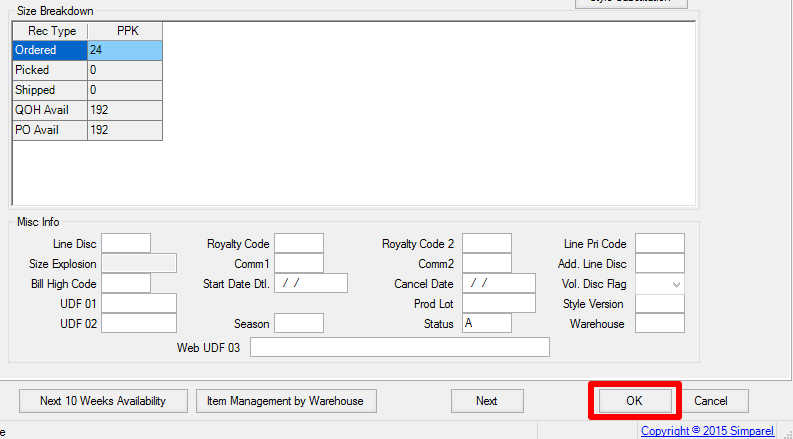 PRE (Pre-order) – Order is for items that are in production now but have not been received in the warehouse. 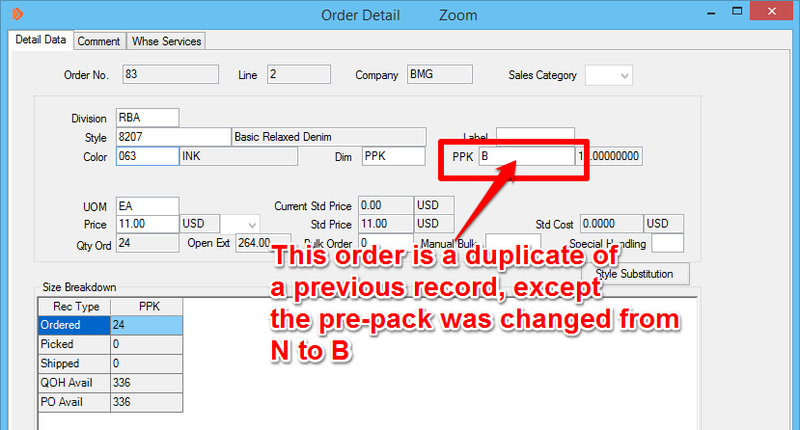 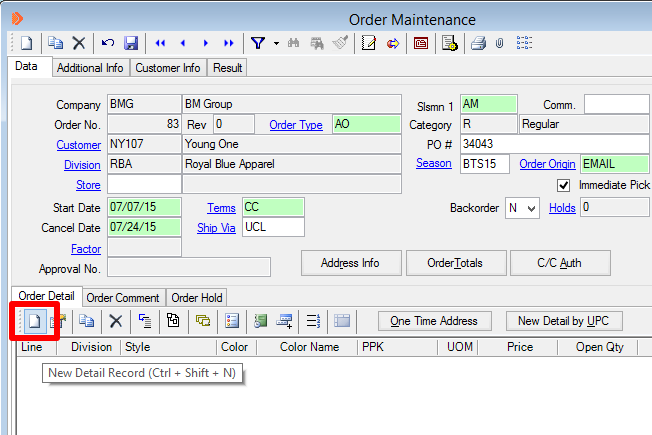 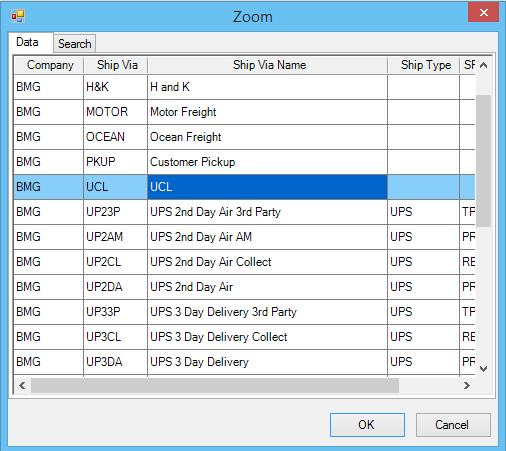 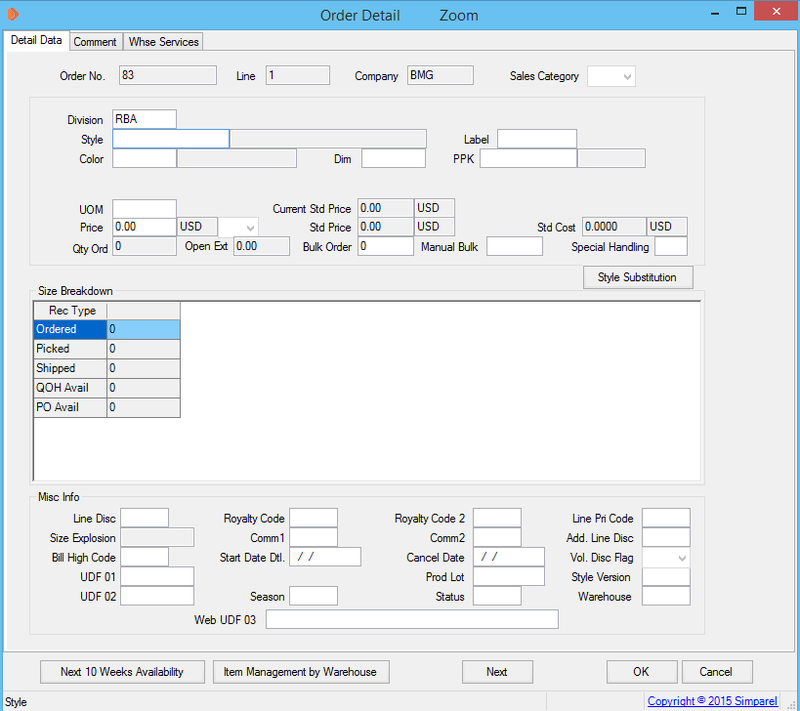 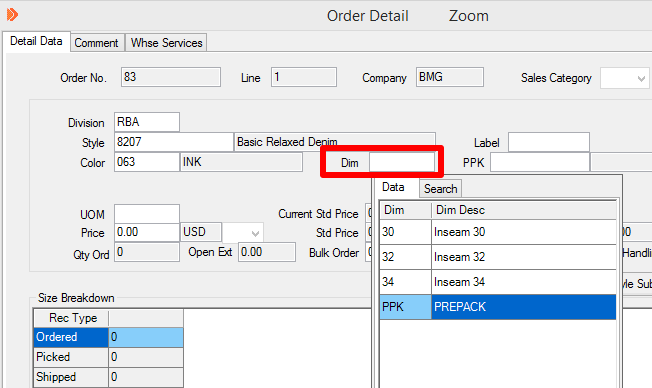 What if an order contains items that fall into more than one Order Type? 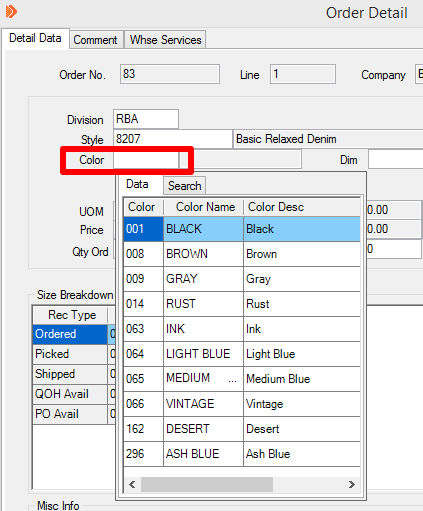 For example, if an order contains one item that is PRE and two items that are AO, then the Order Type is AO because it takes priority over PRE.